The ultimate simplicity of plug and play with the power of SHoW DMX Neo® Max Technology wireless dmx. SHoW DMX SHoW Baby 6 wireless dmx represents a breakthrough in plug-and-play wireless DMX. It's incredibly easy to use and incredibly affordable, while for the first time offering the quality and advanced features of SHoW DMX Neo Maximum Bandwidth Technology. Wi-Fi channel 14, which is not used at all in the U.S. and is used relatively less in other countries. The new, sixth, SHoW ID in SHoW Baby 6 gives SHoW Baby Max Technology capability to help avoid interference in a crowded spectrum. The SHoW DMX SHoW Baby 6 represents a breakthrough in plug-and-play wireless DMX and RDM transmission - a single unit that can be used either as a wireless DMX Transmitter or Receiver. Set-up couldn’t be simpler with SHoW DMX SHoW Baby’s instant plug-and-play configuration: For a Transmitter, connect DMX IN, for a Receiver, don’t. When a DMX cable is plugged into the SHoW DMX SHoW Baby’s DMX Input, the SHoW DMX SHoW Baby senses the connection and configures itself as a transmitter. If no cable is connected to the DMX Input, the SHoW Baby configures itself as a Receiver. 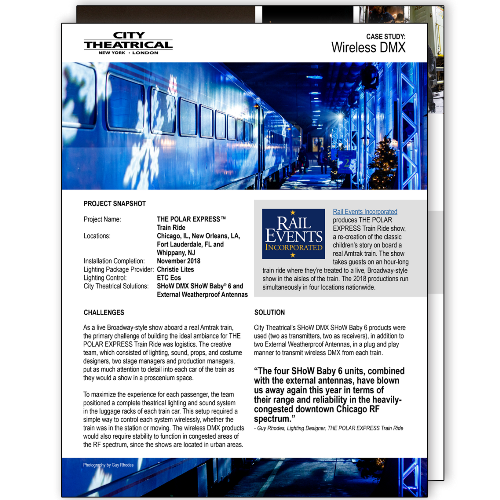 All you need now to set up a SHoW DMX wireless DMX system is two SHoW DMX SHoW Baby units and two minutes! 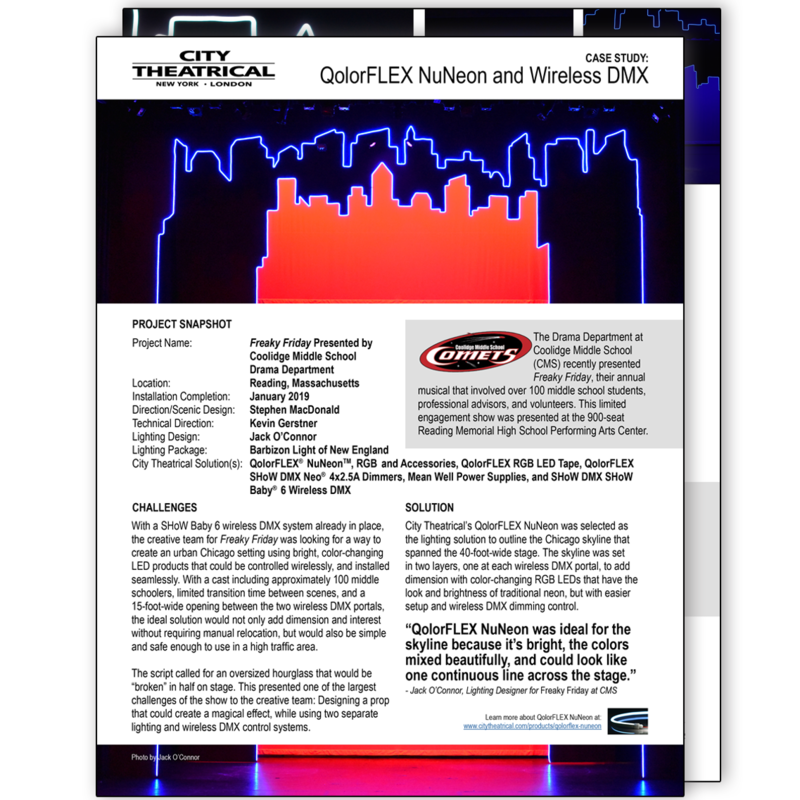 Need to scale up your SHoW DMX SHoW Baby 6 system? Using the six different SHoW IDs available with SHoW Baby 6, you can set up a multi-universe system by adding additional Transmitters or use multiple separate SHoW Baby systems in the same area. There are still seven indicator lights on the front of the SHoW Baby, four for signal strength, one to designate whether it is a Transmitter, one to designate whether it is a Receiver, and a Data present light. In SHoW Baby 6, that Data light (now labeled ID/Data) serves a second purpose, and that is to designate the SHoW ID. A small indented button on the back, when pushed, cycles through the six SHoW IDs, and the user only has to be sure the Transmitter and all Receivers have the same color selected on the Data/ID light. If there are two SHoW Baby systems in an area, or if a user needs to scale up a multi-universe system by adding additional Transmitters, he needs only to select a different color of Data/ID light. All SHoW Babys are still compatible with the full SHoW DMX Neo system and can be used as receivers on that system. Looking for Multiverse SHoW Baby? View the Multiverse SHoW Baby product page. 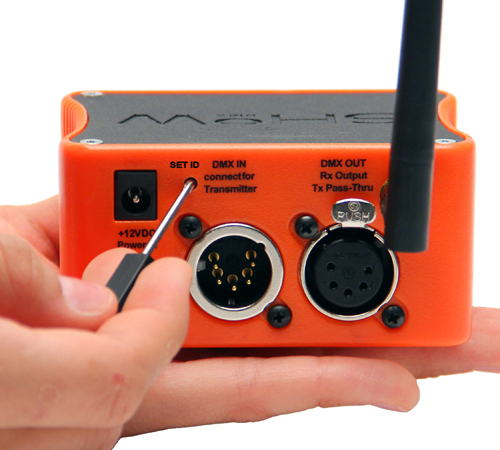 Instant plug-and-play configuration: For a Transmitter, connect DMX IN, for a Receiver, don’t! 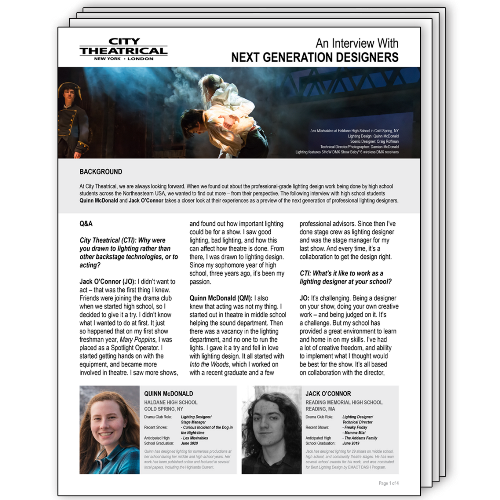 CTI's Analysis of the Lab Report, Part 1: "The Impact and Benefits of SHoW DMX High Data Fidelity"
CTI's Analysis of the Lab Report, Part 2: "The Impact and Benefits of SHoW DMX RF Interference Reduction."